From the chairman’s office of a Hollywood studio to the corridors of the Louisiana legislature, Hollywood insider Linda Thurman follows the rise and subsequent corruption of Hollywood South. Intimately acquainted with the conspiracy to manipulate and control the Louisiana film industry (which resulted in several arrests), Thurman sheds light on the convoluted relationship between politics and entertainment in both Hollywood and Louisiana. Part memoir and part exposé, Thurman’s stories are both riveting and revealing—everything expected from a good Hollywood tale! Get the inside scoop on Hollywood South’s dramatic beginnings! "This fascinating book seems like a work of fiction, a mystery, a whodunit, but it is indeed a work of nonfiction, beautifully told. Stranger than fiction." "A must-read for anyone crazy enough to actually want work in film or TV." "Like Alice in Wonderland, Linda Thurman fell into the alternate reality world known as Hollywood with all its Mad Hatter executives, Humpty Dumpty creatives, and Cheshire Cat politicians." "A thrilling tale of perseverance and determination in spite of Louisiana’s political corruption." "Nothing short of riveting. It’s a binge-reader’s gold mine." 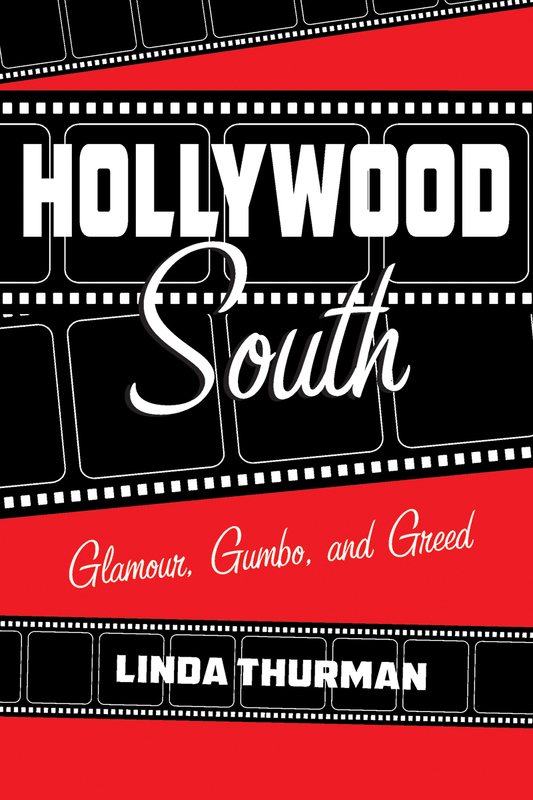 "Linda Thurman’s Hollywood South is a front-row seat to the many twisted tales of movies and moviemaking in New Orleans. Read it with gumbo!" "There are important lessons to be learned within these pages."